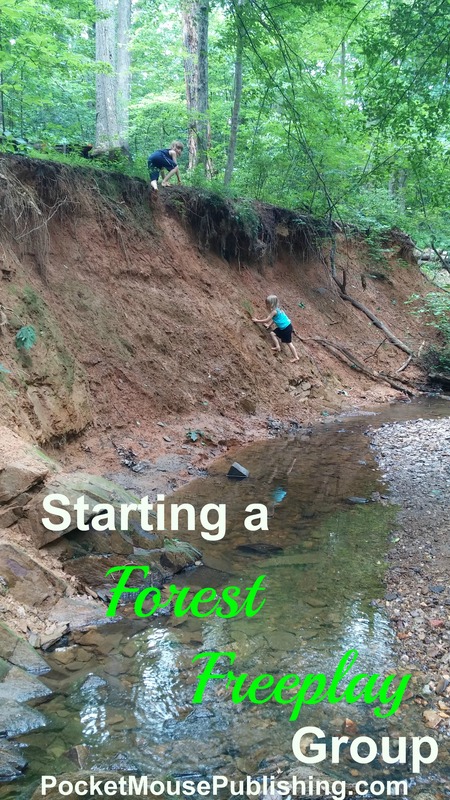 A few months ago, I saw a posting on a local homeschool group about an informational meeting for staring a “Forest Freeplay” group. We’d been getting outside into nature as family every day as our One Thing. But I liked the idea of getting together with other families who valued time in nature. I attended, hoping to meet someone who was excited about starting a group near me that I could join. The hostess was fabulous — answering questions (What do kids DO? ), sharing the experiences of leading a group, and providing lots of links to online organizations which support kids in nature. Sign me up, I was ready to join a group! Of course, none of the other moms lived near me. So it was either feel sorry for myself that no one who lived near me wanted to start a group, or drive to another group. But, I’m tired of driving. I drive to the store, the library, weekly SCA practices, the community college, and to take my older ones to work. And if we want to visit with friends, I have to drive. I’m just tired of it. There was, of course, a third option: start a group myself. And so, with great trepidation, I posted a short announcement to the local homeschool group list. Two families came out! Every week I post a short little announcement with the details, including the statement: Plan to get wet & muddy! Every week we’ve had other families join me & my kids for Forest Freeplay — sometimes only one family, sometimes as many as six. Yes, even on the two weeks it was actually raining! By planning this weekly, I’ve committed us to two hours in the forest with others — socializing for the children and me (possibly more important!). By going to the same spot every week, we observe the changing of the seasons and the effects of sun and rain. 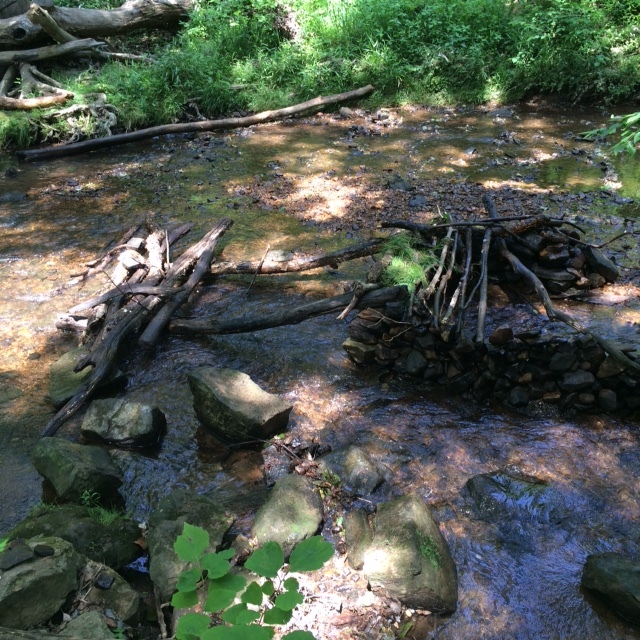 For example, when the kids built this structure, the water was low & clear. 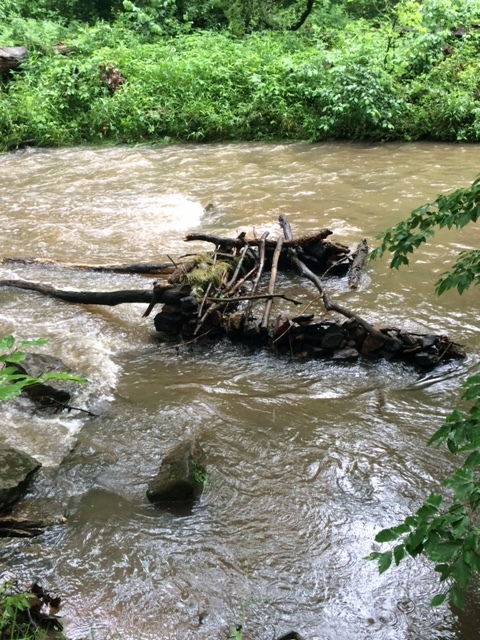 The next week the water was deep and rushing…but the structure held! Got questions? Ask me in the comments! Forest Freeplay: What is it? 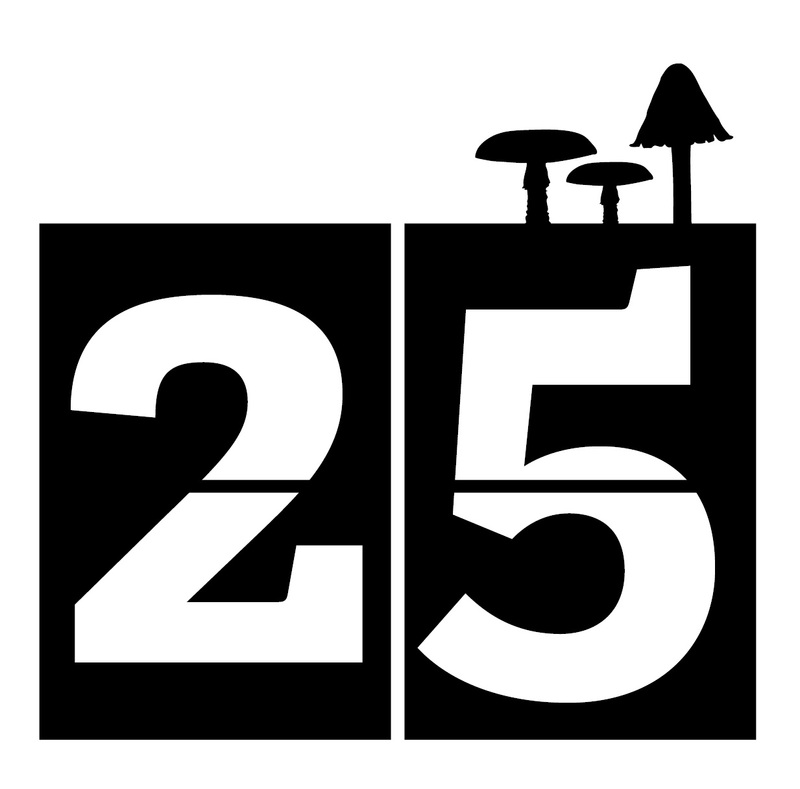 < Previous Forest Freeplay: What is it? The kids clearly built a sturdy structure – good job!